Last year's Top 10 Classic Titles On Blu-ray list didn't feature any films made past 1990 – and to be honest, the single 1990 release didn't even count since I'm referring to 'Godfather III' which was included in 'The Godfather Trilogy.' If you removed that film you have to go all the way back to '74 to find the most recently made film ('Godfather II'). This year's list features a few newer movies mixed in with older titles. It's possible to have modern day classics, and after seeing the list below I hope you'll agree with my choices. Spoof movies nowadays…well, they stink. Remember the good old days of Leslie Nielsen? 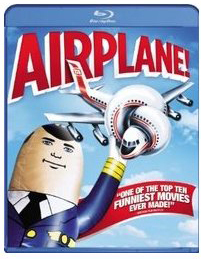 Remember when it was actually easy to laugh at a spoof movie? They were made by intelligent comics, instead of second-rate hacks (I'm looking at you Jason Friedberg and Aaron Seltzer). 'Airplane!' is a classic comedy that has never lost its entertainment value over the thirty-odd years it's been around. Like the 'Monty Python' films, you can revisit 'Airplane!' again and again and come away laughing every single time. 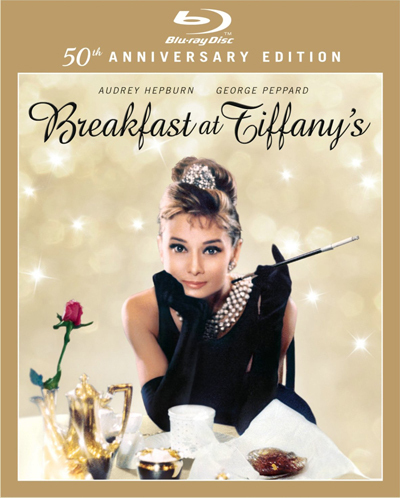 Hepburn's classic film has finally found its way onto Blu-ray. It's one of the few truly classic films fans have been clamoring for. 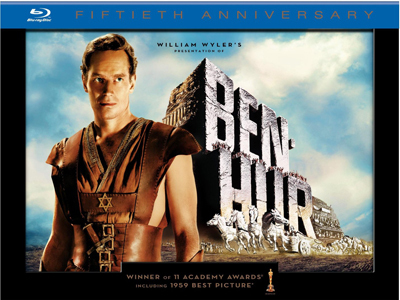 With its 50th Anniversary looming, Paramount released the long-awaited Blu-ray in September. HDD reviewer Nate Boss stated his love for the movie, but also said the video was a bit troubled. However, it's still recommended, because it's just such a great little film. Pick it up if you get a chance. You won't be sorry. The first of two Charlton Heston movies released this year, which in turn have both found their way onto this list. What a marvelous achievement this Blu-ray was. Reviewer David Krauss raved about the entire 50th Anniversary Set. From the audio to the video to the special features, five stars all around, capping off his review with "Must Own." Indeed. This is one of cinema's greatest movies of all-time. It's never looked and sounded better. If you have a love for the classics, you'll almost definitely have a love for this movie. This is one of the newer films on the list, but that doesn't make it any less classic. 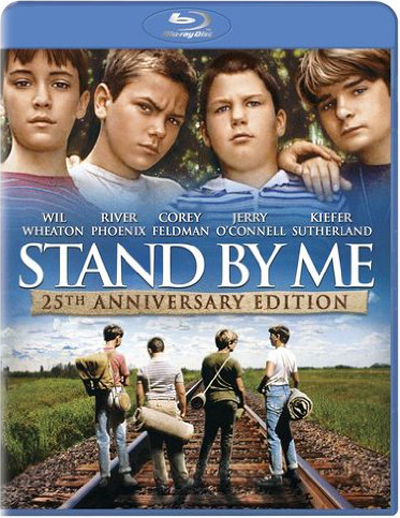 Celebrating its 25th year anniversary, 'Stand By Me' recounts a few summer days in the lives of Gordie (Wil Wheaton), Chris (River Phoenix), Teddy (Corey Feldman), and Vern (Jerry O'Connell). Ever since it was released in '86, 'Stand By Me' has stood as an unflinching testament to adolescence and real friendship. It became an instant classic in many people's minds, and remains so today. Not to mention 'Stand By Me' also has one of the most underrated villains ever with Ace Merill (Kiefer Sutherland). Now there was a kid you wouldn't want to mess with. We'd already had a Danish import of the movie released a while back, but it was high time we got a domestic release of the movie. 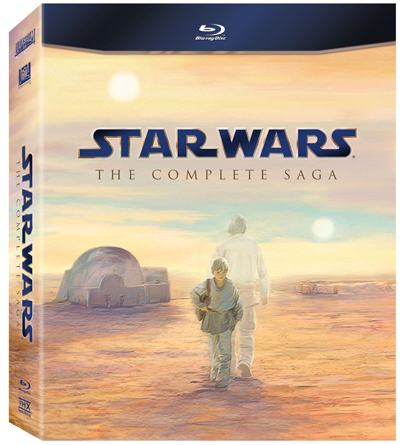 What was really important about this release – besides Blu-ray fans demanding its release for years – was the inclusion of the special features. While I personally would've loved to see a newly minted audio commentary, the new Blu-ray exclusives are a nice touch. This is one of those modern day classics that has stuck with the movie fanatics ever since its theatrical release. It found its way into the Top 100 Movies list from the American Film Institute (in)famously bumping off other well-known movies like 'Ben-Hur.' This new domestic release is simply a highly recommended item that any cinephile will love to have in their collection. I know it's becoming redundant. 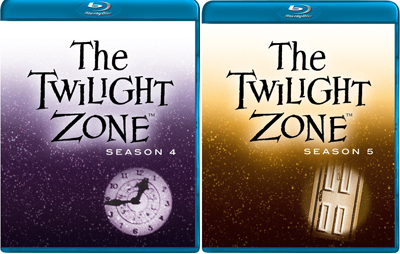 Every time I make a Best Of list somehow the 'Twilight Zone' seasons find their way onto it. Don't worry, this will be the last year for any of that, because Image Entertainment has finally gotten around to releasing the last two seasons, and they're just as glorious as the first three. Out of all the television that has been released on the format, the 'Twilight Zone' seasons are the pinnacle of perfection. When so many studios have a spotty record for releasing sporadic seasons of certain shows, Image showed resolve and took its time with each season. They didn't rush these out either; they packed them with new, worthwhile extras and audio commentaries. They remastered each episode so it looked absolutely marvelous. Some of the best looking video I've seen on any Blu-ray that's been released. I can just hear the purists now. How can you call these classics if they aren't even the regular, unaltered versions? Well, as I stated in my review of the set, I'm not a purist so those things don't really bother me. I understand that they annoy other people, and that's completely fine. I on the other hand was extremely excited to finally get my hands on those movies. Especially 'The Empire Strikes Back,' which isn't just the best 'Star Wars' film, but simply one of the best films out there. Despite all the silly changes Lucas tacked onto these newer editions of the movie, they're still great fun and it was a treat to finally see them released in high definition. Note: Even though the prequels are in the same set they are in no way considered classics, hence their complete banishment from this section. I was absolutely blown away by the quality of this set. 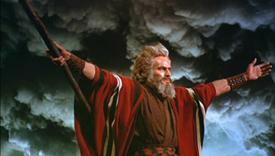 From the video to the audio, 'The Ten Commandments' exceeded my expectations in every single way. Such an epic, sweeping film. 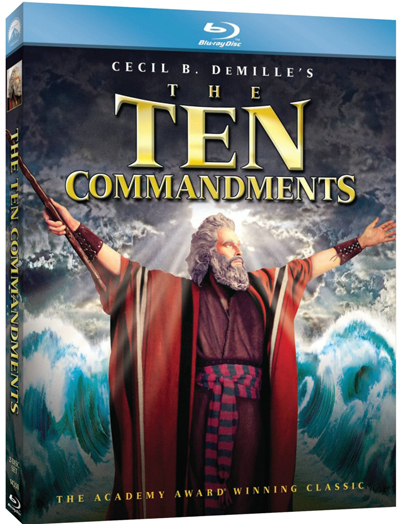 With the high definition treatment, 'The Ten Commandments' stands as one of my favorite releases of this year. Yes, the anniversary set was a bit bulky with trinkets here and there that I'll probably never look at again, but the movie and its presentation were astounding. Amidst the hub-bub about 'Star Wars' being released this year, Disney quietly had a very good year regarding their highly prized animated features. Sure, 'Lion King' was a pretty big deal. They even re-released it in theaters hoping to jar people's memories about how great it is. Turns out people didn't need to be reminded. The third highest grossing animated film of all time (behind 'Shrek 2' and 'Toy Story 3') touched people's hearts once again. 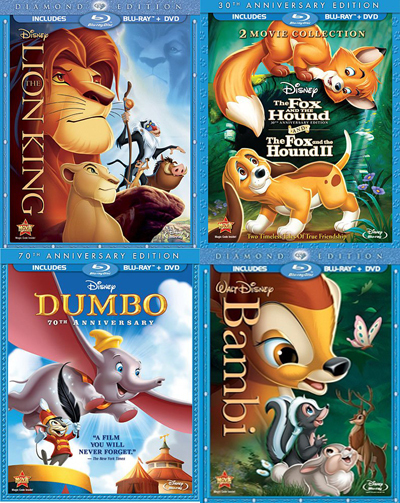 As impressed as I was with Disney's release and treatment of 'Lion King' it was the other two well-known, but older Disney titles that really impressed me. 'Bambi' and 'Dumbo' were both splendid releases. Disney flubbed up a little bit with 'Bambi' and released it without a lossless track, but the 1942 animated film looked amazing. 'Dumbo,' done the year before (1941) looked and sounded great too. They may be taking their time releasing their animated titles, but every time they do, Disney seems to get it pretty close to perfect. It's widely regarded as the best film of all time. While some may not agree with its lofty stature amongst many critics and cinephiles, it's hard to disagree with the Must Own necessity of the 70th Anniversary Set that was released in September. It was simply one of the most anticipated catalog titles of the year, and would have been the most anticipated had it not been for 'Star Wars' being released the same day. What an achievement this release is. 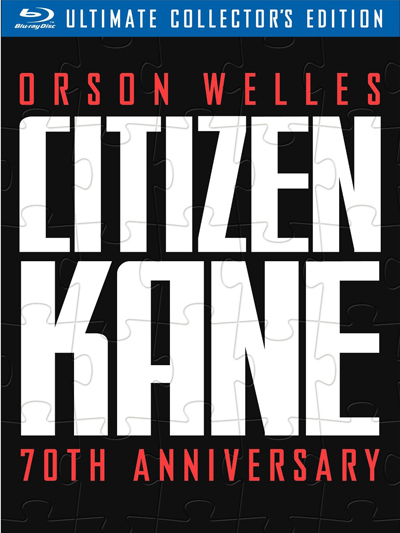 We finally get to see Welles' masterpiece in high definition. Reviewer Michael Palmer gave it four and a half stars out of five for the video score. It simply looks magnificent for a70 year-old film. That's our list, as always let us know what you think in the forums. What classic movies did we miss that were released in 2011 that you think should've been included in this list? Please let us know by following the forum link below. Stay tuned for more 2011 HDD Holiday Gift Guides to come!